The rocky shoreline of Cape Bonavista leads to a beautifully restored lighthouse on the point. 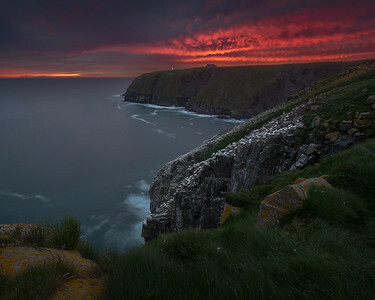 All the tourists and bird photographers had long gone by the time the sun set, so I shared this moment with the thousands of northern gannets and other seabirds nesting at Cape St. Mary's. A storm over the Atlantic provided some wonderful background action for this long exposure. My hope was to capture a bolt or two of lightning and was fortunate to mange to do so. The rocky shore west of Deep Bay is one of my favorite places to explore on Fogo Island. Since it's off the hiking grid and requires a bit of effort to get there, you're pretty much guaranteed to have it entirely to yourself, which is a rare treat for a landscape photographer. 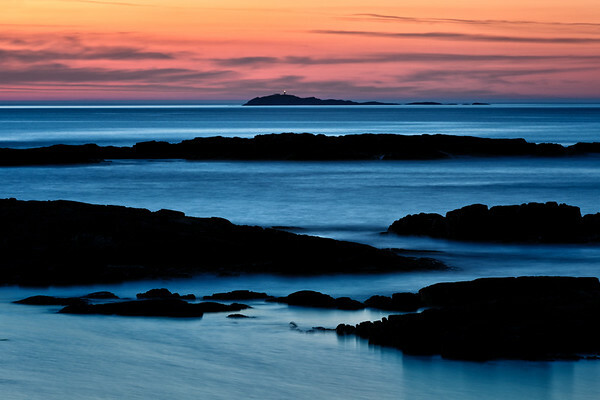 The rocks at Skerries Bight, north of St. John's, offer a wonderful foreground for photographing the Atlantic. With constantly-changing conditions, the possibilities are endless. A panoramic view of the little town of Fogo at dusk. 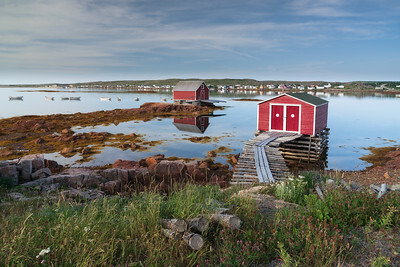 You can see a couple of icebergs just beyond the town, just two of the countless numbers that float along Newfoundland's eastern seaboard every spring. The sun sets over the Atlantic, as seen from the rocky shore at Frenchman's Beach, Fogo Island. 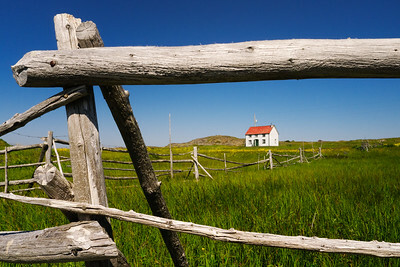 A beautiful summer's day in the traditional fishing village of Joe Batt's Arm on Fogo Island. 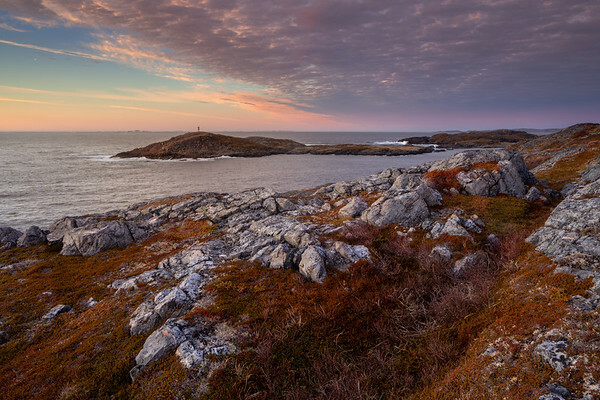 Much of the rocky shoreline at Lock's Cove, on Fogo Island, is covered with colorful moss, which is not only great for photography, it's also inviting for local caribou. 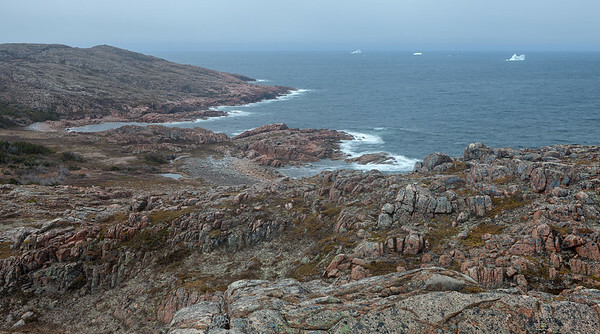 Turpin's Trail is one of a dozen or so developed hiking trails on Fogo Island. 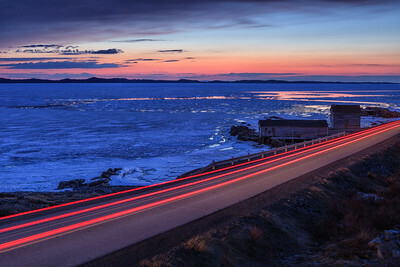 I waited about 30 minutes for a lone vehicle to pass, so that I could capture this light trail in Island Harbour on Fogo Island, Newfoundland. 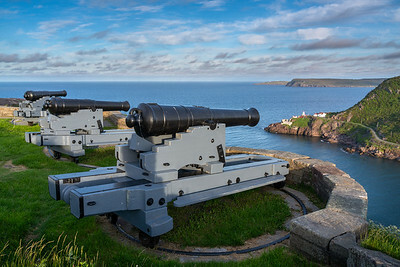 A view from the Queen's Battery at Signal Hill all the way to Cape Spear, the most easterly Point in North America. 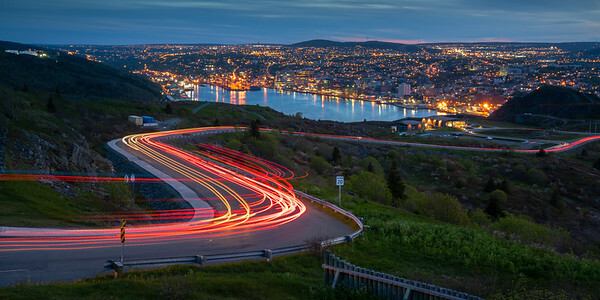 Given the popularity of this location at sunset, it's a great place to shoot light trails from passing cars. 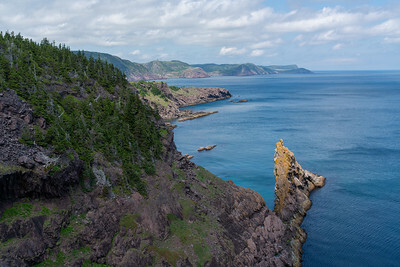 The sea stack known as Peggy's Leg juts out into the Atlantic south of St. John's. Signal Hill, a national heritage site, can be seen in the backgroud. 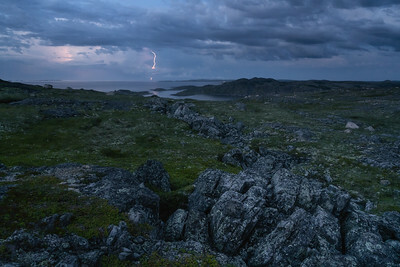 I watched this thunderstom off the coast of Fogo Island for more than an hour and managed to catch this bolt of lightning sometime after dusk. The waters off Newfoundland's north coast are known as Iceberg Alley because of the huge number of icebergs that float along the coast every spring. 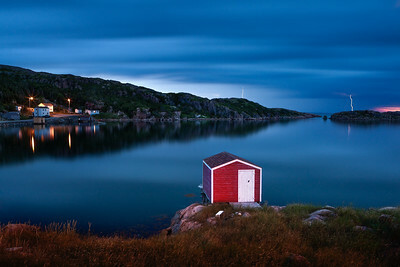 This one was captured off Fogo Island. The formation of these three icebergs near Deep Bay, Fogo Island, reminded me of a fleet of ships getting ready for battle. 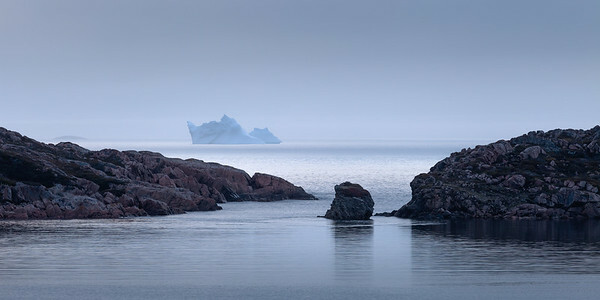 A large iceberg floating in the Atlantic just beyond the narrow entrace to the harbour of Deep Bay, Fogo Island.